Firstly, we won the Jazz/Blues category in the UK Songwriting Contest 2017 for the song Space Dust, which is the 2nd time we’ve won this competition!! We also received a further 8 placements as Finalists/Semi-finalists in the Jazz/Blues and Adult Contemporary categories for 5 other songs, all off our debut EP. Secondly we were Finalists in the 2017 USA Songwriting Competition, for the song Little Miss Kryptonite, which given the competition this year had 47,907 entries we think is pretty amazing. 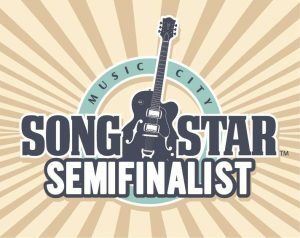 We were also semi-finalists in Nashville’s Music City SongStar Competition in 2018 for the song Space Dust, and were nominated in 2 categories of the 2018 Independent Music Awards (namely best jazz song for Good Odds, Odd Goods and best jazz EP). Finally (for the moment!) 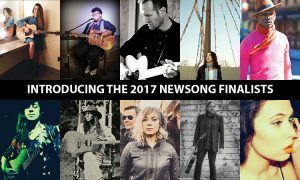 were also made a Top 10 Finalist in the NewSong Music Songwriting Competition in 2018 (out of c. 5,000 entries), but sadly couldn’t compete in the final due to it being at the Lincoln Center in NYC.